Do you want to create Front Line Assembly’s website? If you’re a FLA fan talented in the art of web design, now’s your chance to create the band’s official web page. If you’re interested you can send your portfolio (art, graphics, earlier designs etc) to frontlineassemblyweb@gmail.com and the chosen one will be revealed on February 21. Berlin label Out of Line hosts a 3-day festival in their hometown, at the K17 venue, on March 2-4. Austria’s Mind.in.a.box has scheduled a remix album called “Revelations Club Mixes” for March 9 (Europe) and March 13 (rest of the World). Here is a YouTube teaser. The brand new critically acclaimed Mind.in.a.box album “Revelations”, released 3 weeks ago, received an 8 in Release in our review. 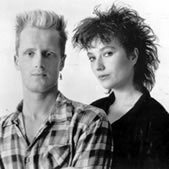 If you are a nitpicker like me and actually enjoy reading the credit and production pages in booklets and press releases and have a genuine interest in electronic music the you will have read the name Gareth Jones several times. If not, you will most definitely have listened to music produced, mixed or engineered by him. Imagine time travel back to a synth or goth event in Southern Sweden in the 80:s or 90:s. This is exactly what the organizers want to accomplish at a mini festival and party in Malmö on April 28. 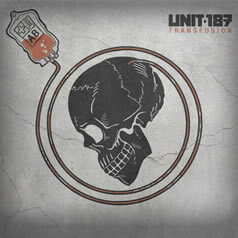 Members from Skinny Puppy, Front Line Assembly, Mindless Faith, Ivardensphere, 16 Volt and Nectotek have all remixed tracks from Unit 187′s latest album “Out for Blood”. The remix companion album “Transfusion” will be out on Vendetta Music on March 27.